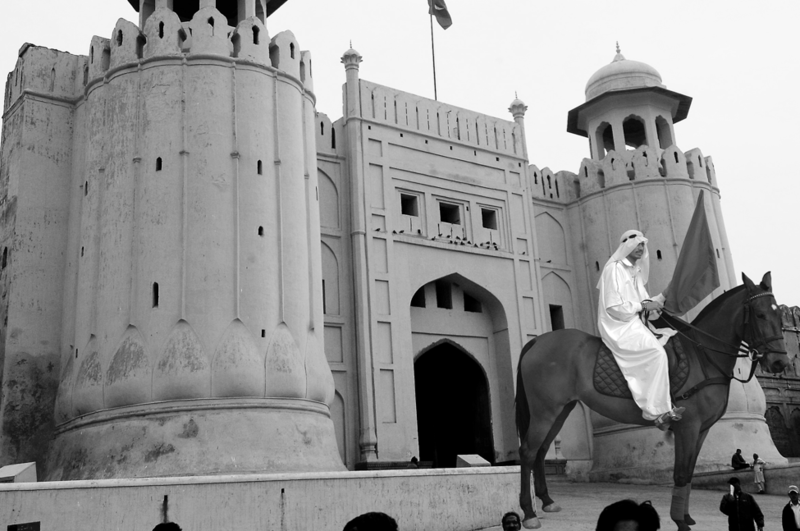 Artist Bani Abidi is an artist from the Subcontinent working primarily with video and photography. 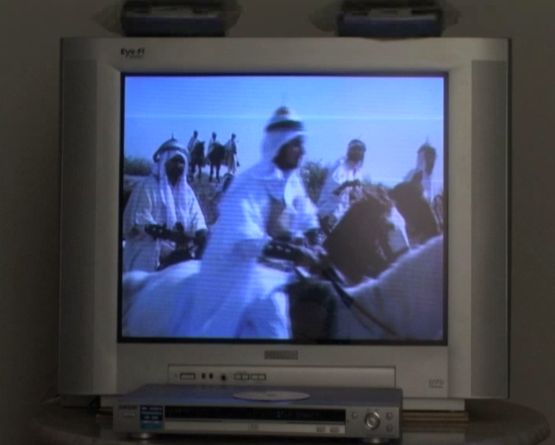 This trio of works make up the series The Boy Who Got Tired of Posing; The Ghost of Mohammad Bin Qasim (2006), This Video is a Re-Enactment (2006) and The Boy Who Got Tired of Posing (2006). Abidi’s fabricated scenarios take a dig at the mystifying aura that is imbued in history and presents its often simulacral nature. 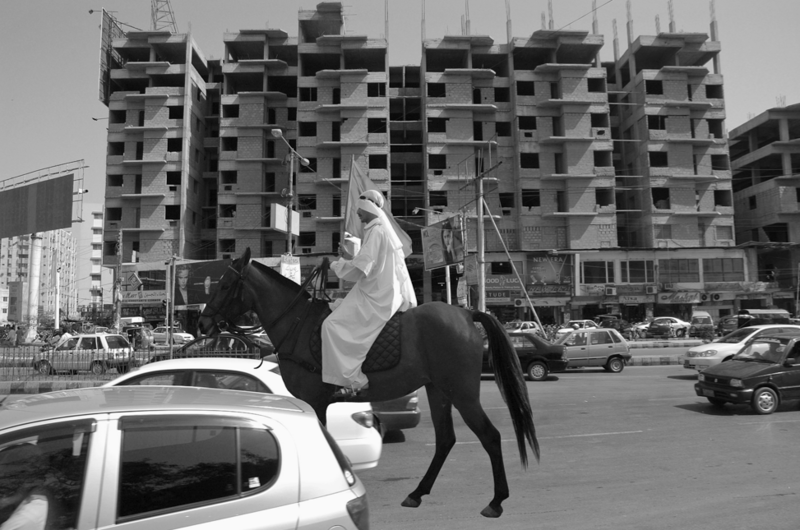 The Ghost of Mohammad Bin Qasim, an assembly of nine photographs, intermingles fact and fiction. Bin Qasim (b. 695-715 AD) known for having expanded Muslim territories in the Indian subcontinent and for being one of the founding fathers of Islam, is placed artificially in the city landscape of Karachi. 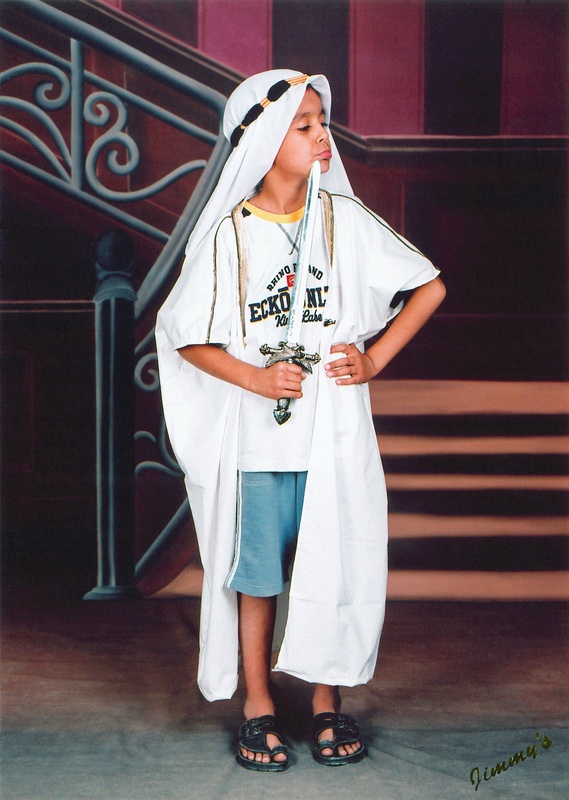 He has come back as a ‘ghost’, the model, a supposed young and newly converted Muslim. 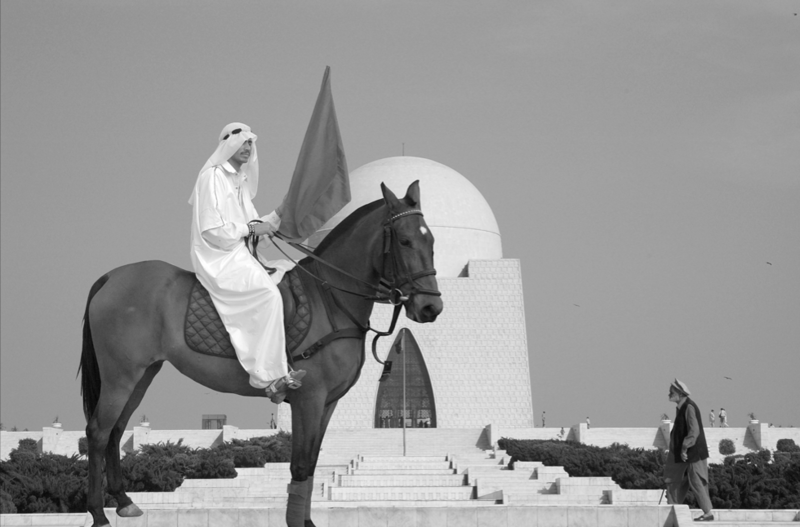 With a major port and park named in his honor in Karachi, the artists hints at Bin Qasim’s present-day stature, cherished by younger nationalists in Pakistan and as a popular figure of Pakistani identity. 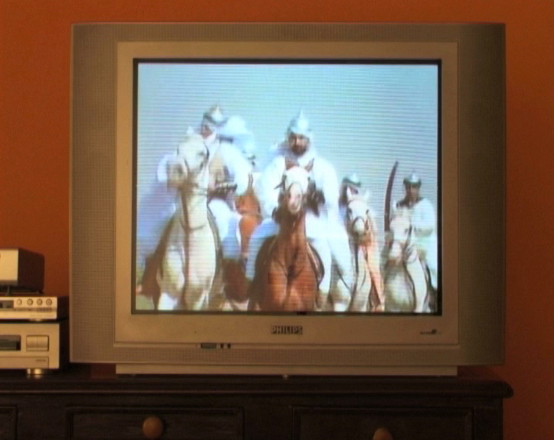 This Video is a Re-Enactment, a looped 58 second video, takes on a similar theatrical twist. 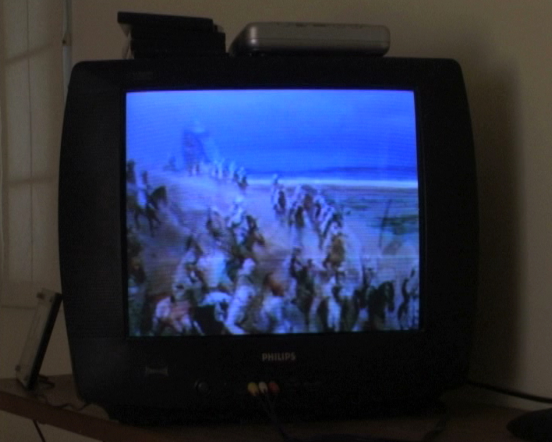 One sees a segment from a Pakistani Islamic channel, a program commemorating the quest of Bin Qasim. Men are riding on horseback, specially rehearsed for the camera, in slow motion – their delayed glorified moves giving in sorts a camp effect. 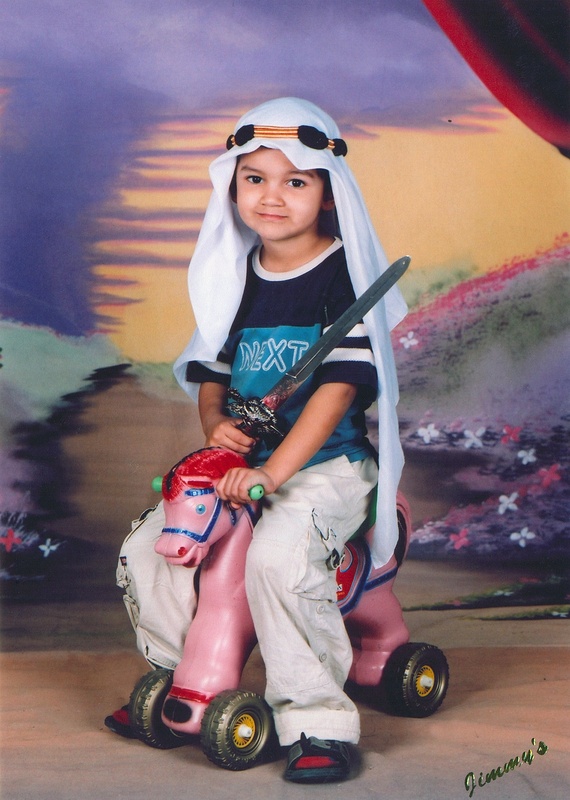 In The Boy Who Got Tired of Posing the symbol of Qasim as a keffiyeh wearing and sword bearing hero is role-played by children. By the means of a caption, we are informed that this type of dress-up was popular in the 1980s, with parents willing to pay for professional snapshots for the cherished family album. Truth or fib? Bani Abidi (b. 1971 in Karachi, Pakistan) lives and works in Karachi and New Delhi. She received her BFA degree from the National College of Arts, Lahore, Pakistan in 1994 and an MFA from the School of Art Institute of Chicago, USA in 1999. Her works have been exhibited widely in group shows internationally: including amongst others, Documenta13, Kassel, Germany (2012), The Global Contemporary Art Worlds After 1989, ZKM – Center for Art and Media, Karlsruhe, Germany (2012), and Home Spun, at the Devi Art Foundation, New Delhi (2011). Her most recent solo exhibition includes Bani Abidi at the Baltic Center for Contemporary Art, Newcastle, United Kingdom (2011). She was an Artist in Residence at the DAAD Berliner Kunstlerprogramm for the year 2011/2012.